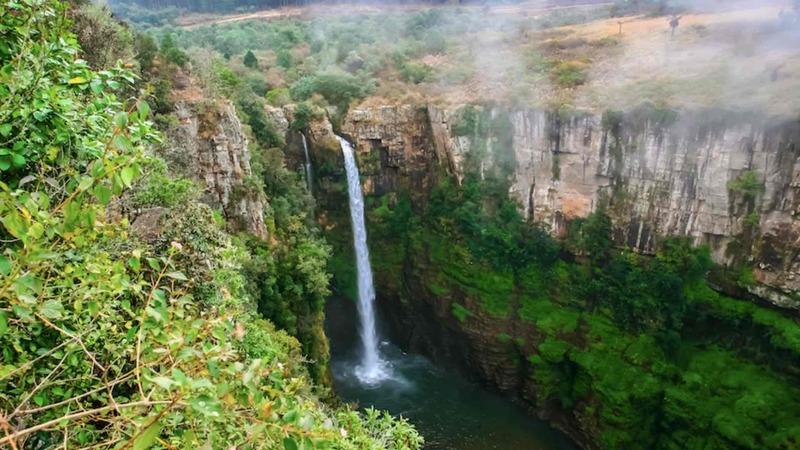 The Mac Mac Falls is the second highest waterfalls in Mpumalanga, South Africa, at an impressive height of 65metres. A magical walkway guides you along the Mac Mac River Gorge, with the enchanting sound of the flowing water guiding you. You will discover not one, but two waterfalls are cascading side by side as they meet again at the bottom with immense power and intensity. The second stream of water was a result of the 1883 Barberton Gold Rush when Scottish gold miners blasted that part of the canyon to try to divert the falls to help them in their greedy search for gold. Due to the vast number of Scotsmen working in the area at the time, all with similar surnames beginning with “Mac,” the then president of the Transvaal, Thomas Burgers, named the area Mac Mac. 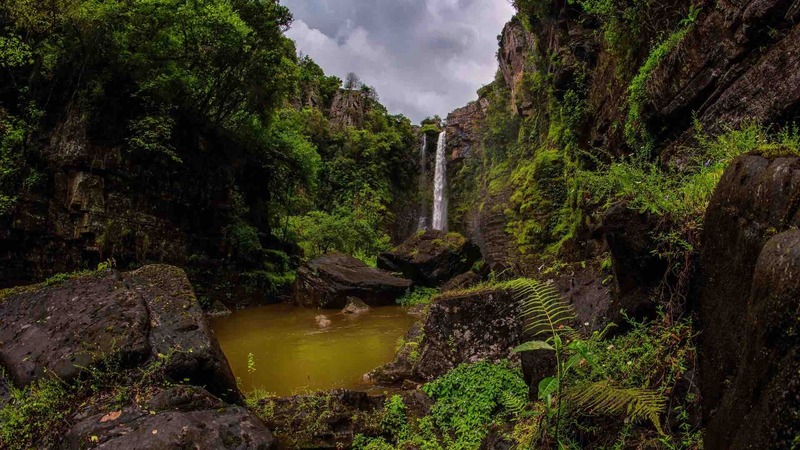 These magnificent falls were declared a National Monument on the 18th of February 1993. If you venture a bit further south along the route, you will find the crystal-clear Mac Mac Pools where you can take a dip in the pure mountain spring water. There is a picnic site here with braai (barbeque) facilities and toilets. Be sure to pack your costume!